The future of space travel is now. NASA has established plans to permanently station humans on and around the moon by 2028. 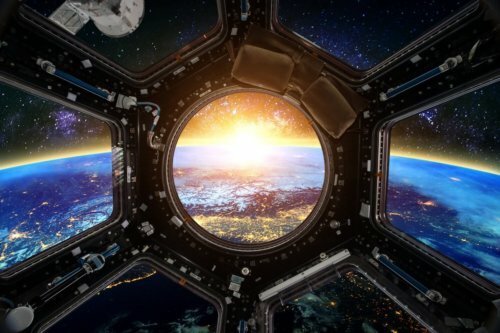 Commercial space counterparts are interested in similar endeavors to send people to space, and not just astronauts in the traditional sense, but also space tourists. Maria Zaitchenko, Microchip Technology, Inc. Historically, flight beyond commercial aviation altitudes has been associated with rigorous competition, safety demands and exhaustive training. This reserved the exhilaration of zero gravity to a lucky – and talented – few. That's no longer the case; space travel is trending. Now the challenge is finding a cost-effective way to protect humans and spacecraft from intense radiation. Sourcing qualified components is the first step. As described in NASA’s Lunar Orbital Platform Gateway plan, the goal is to build a new space station in lunar orbit, allowing astronauts frequent visits to the moon and establishing an ongoing presence in space. This infrastructure will later serve as a training ground for future missions into the depths of our solar system – Mars, to be specific. In the commercial sector, more and more companies are offering some form of space tourism, years after the inaugural Space Adventures’ flight back in 2001. Partnered with Roscosmos, Space Adventures has sent seven people on private trips aboard Soyuz Rockets to stay in the International Space Station (ISS). Tickets for this getaway were priced upward of $20 million dollars each. Now, Blue Origin is selling rides aboard its New Shepard spacecraft for $200,000, to fly as early as 2019. Virgin Galactic aims to take willing participants to the edge of space at $250,000 per seat starting in 2020. Virgin is currently working on a deal with the UAE government to launch its SpaceShipTwo from the Al Ain Airport in Dubai. SpaceX has recently claimed fame for its Crew Dragon being the first American-made crew capsule to reach the ISS since the Space Shuttle was retired in 2011. This same Dragon is planned to send tourists on a cislunar journey, similar to that planned by NASA, with the first passenger departing in 2023. As a whole, space tourism is estimated to be a $3 billion market by 2030. Established space agencies like NASA, ESA, Roscosmos, and many of their contractors are defined as "Traditional Space." These companies ensure a high degree of safety by purchasing and producing high-value, high-reliability products that undergo rigorous testing. "New Space" players are not interested in this approach. These are the startups and smaller companies that have been creatively employing unconventional materials, components, and design techniques to launch their way into space. Until now, most of New Space has been focused on establishing credibility within the space and commercial communities. Now that New Space is moving toward manned missions, there are various safety factors to be considered. Radiation is among the most important, at all altitudes above sea level. Most of the current commercial space campaigns are not aiming for very high altitudes. Both Virgin Galactic and Blue Origin’s flight paths hover around the Karman line, 100 km high (62 miles), at the officially recognized boundary between airspace and outer space. Even at these sub LEO (Low Earth Orbit, 100–1,240 miles) levels, that some argue are safe from the harmful effects of radiation, caution is required. There are neutron effects as low as commercial aviation altitudes (28 – 35, 000 ft.); and the higher the altitude, the greater concentration of subatomic particles. Flight paths to the moon can expose astronauts to 50 – 2000 millisievert (mSv) as they cross through layers of the Van Allen radiation belts, the rings of high energy protons and electrons surrounding the earth. This exposure occurs even with extensive shielding on spacecraft and spacesuits. For comparison, that’s equivalent to five full body CT scans on the low end, and a serious risk of cancer on the high end. The detrimental effects of radiation aren’t limited to humans. Electronic hardware is susceptible to two forms of radiation upsets – total ionizing dose (TID) effects, and single event effect (SEE). TID refers to the gradual degradation of device performance over time, which accumulates with prolonged exposure – a function of time and altitude. SEEs are further categorized under instantaneous upsets, transients, and permanent damage due to particle radiation. Essentially, a single event effect is triggered by an individual radiation particle collision – which in turn triggers a data upset, device material damage, or complete device latch-up. A latch-up unintentionally creates a short circuit in an integrated circuit (IC), which can be destructive or non-destructive. A non-destructive latch up will clear after rebooting, while a destructive latch up can result in a system malfunction, or the worst-case scenario of lost spacecraft and lives. Radiation levels increase as the atmosphere thins out, meaning altitude plays a large role in determining mitigation requirements. For short term missions, SEE is of the greatest concern. Various strategies can be employed to mitigate the risks. The Traditional Space sector has historically relied on a strategy known as “radiation hardening by design” (RHBD), with radiation mitigation built in to components. Rad-hard products have been specifically designed to withstand radiation effects, both SEE and TID. Field-programmable gate arrays (FPGAs) are commonly used in space. Most rad-hard FPGAs are based on non-volatile flash or antifuse technology, as opposed to volatile SRAM. The flash configuration memory is resistant to radiation induced upsets at 130 nm and 65 nm due to a sufficiently large, non-dischargeable floating gate. Other RHBD features include protected registers and protected data SRAM memory. With reliability, however, comes cost. Rad-hard FPGAs cost tens of thousands of dollars -- much more than their commercial-off-the-shelf (COTS) counterparts. They also require years of testing and verification. A standard set of qualifications for spaceflight hardware, called the Qualified Manufacturers List (QML), has become the industry standard. It has two sub-qualifications, class Q, for standard applications, and class V, for highly critical applications. All manned missions are class V. Achieving QML status requires screening at the technology and assembly levels, each wafer lot and each package assembly lot. These qualifications require extensive and continuous testing, taking a prolonged time to plan, execute, and document. This consumption of resources on the manufacturer’s side translates to increased costs on the customers’ side. Hardware reliability testing in the production flow is categorized under electrical screening and radiation screening. Electrical testing is required for functionality, and is performed on every unit. Radiation testing for SEE performance is done once, since it applies at the technology level. This phenomenon allows products within the same device family to have the same SEE resistance characteristics. TID performance usually varies slightly between individual wafer lots, so testing can be performed in the initial stages of production. Reliability testing typically refers to high-temperature life test, in which the device is exposed to extreme operating conditions in a shorter amount of time than an actual spaceflight mission. Over-stresses are used to produce the same failure mechanisms that would be seen under normal conditions, but in a much shorter time period. This accelerated reliability testing can then be used to identify the failure mechanisms and eliminate them as a cause of failure during the life of the IC. While reliability data is internally collected by most, if not all, manufacturers, it is seldom readily available to the public. Radiation reports are even harder to find and acquire. Historically, few device manufacturers boast spaceflight safety expertise or backgrounds in qualification standards. As New Space emerged, COTS vendors stepped in to the mix, offering new, lower-cost “soft mitigation” strategies (including hardware redundancy and software mitigation) for protecting against radiation effects in New Space applications. Soft mitigation has been acceptable for Traditional Space as well, in applications where the specific devices aren’t performing flight or mission critical roles. A traditional satellite would cost a space agency no less than a few hundred million dollars, sometimes stretching into the billions. In these cases, rad-hard components costing tens of thousands can fit nicely into the bill of materials. In comparison, the entire CubeSat market is valued at $150 million as of 2018. Soft radiation mitigation strategies are ideal for these and other New Space missions for which riskier, cheaper devices are preferable to more reliable parts at a much higher price point. Hardware redundancy and software mitigation involve building in radiation mitigation at the component or system level. With software, one approach involves storing multiple copies of the same code in physically different locations. This works because the likelihood of both copies being simultaneously struck by subatomic particles is low. However, some form of n-modular redundancy is required for this approach. This entails individual devices collaborating in a majority voting system to analyze the validity of their respective outputs. If any part of a sub-system fails, the fault can be identified and corrected, producing a fault-tolerant system. Errors would force the faulty devices to reboot and reconfigure, reloading data from an external location. With rad-hard FPGAs, this mitigation is implemented at the board level as double or triple modular redundancy. The disadvantage of building a software mitigation scheme is the allocation of resources for its implementation, decreasing the total amount available for mission specific use. To store multiple copies of the same code, there needs to be multiples of the same device. Hardware redundancy simply makes use of identical spares in the case of the primary’s malfunction. It’s common to hook up a pair of identical FPGAs in a “cold sparing” setup. This ensures that the spare is fully connected to external inputs/outputs and ready for use, with the power supply kept at high impedance until go-time. The problem with New Space mitigation strategies is they are limited to non-critical applications. Soft mitigation applies well to situations where immediate error correction in not necessary and where delays and data losses are tolerable. Rebooting and reconfiguring an SRAM FPGA is quick, taking seconds to minutes. However, system level reconfiguration can last minutes or hours. Non-volatile FPGAs allow for “instant on” functionality, helping to avoid extended system-down time. For many smallsats, for example, that deal with high-resolution imaging, taking time to reboot and reconfigure is not a large concern. In some cases, spare parts can substitute for faulty ones; in other cases temporarily suspending mission procedures is acceptable. Corrupted data may also be corrected with software. If a few pixels out of many million get lost, it may not even be noticeable. In this context, it is much more favorable to buy multiple high-performance COTS parts, setting up hardware redundancy and implementing minimal soft mitigation at the system level. Worst case, mission and flight control are lost and the satellite becomes space junk. No one gets hurt. On manned missions, however, delays due to extended or frequent reconfigurations could cause serious problems onboard. Take a system responsible for the spacecraft telemetry or cabin climate controls. Even several minutes of operational disruption could result in hazardous system malfunctions, endangering human life. Radiation-tolerant FPGAs come with safety assurances – at a price. To reduce the cost of space travel by a factor of 100 or more, commercial space tourism ventures will need to cut costs without compromising human life. One solution is bridging the gap between COTS components augmented with soft mitigation strategies, and more expensive radiation-hardened components. This is accomplished by using hardware electronics devices that are “radiation tolerant by reputation”– that is, devices that are radiation tolerant by design and produced by qualified manufacturers. This eliminates the costs of superfluous testing and screening. The radiation-tolerant-by-design option is a reliable alternative for New Space partners who may not be familiar with the impact of radiation and the extensive testing that typically goes into spaceflight models. Some tests can be safely omitted. As mentioned, radiation performance for SEE, in particular, mostly depends on the technology being used – meaning there’s no need to redo the same tests on every batch. TID properties vary slightly from one wafer lot to the next, but the variation is small enough to permit this testing to be performed once, or at longer intervals, instead of every batch. Crewed spaceflight is a highly critical application, so only QML Class-V components have been assigned to human-rated missions in the past. Life testing at elevated temperatures is done for every wafer lot under this qualification, and the operating temperature range is application specific. Under this designation, all flight units are tested for the full military temperature range of -55°C to 125°C. This level of screening may be unnecessary in the pursuit of minimizing costs. This process can be truncated to a smaller set. For commercial applications, tests performed for the “industrial range” can be sufficient. In this case, devices are only exposed to temperatures from -40°C to 85°C. This approach reduces overall costs and verification times, while ensuring safety by using devices with a proven track record of radiation tolerance. Manufacturers with experience in spaceflight are qualified to gauge the requirements for specific missions and determine which screens are necessary and which can be omitted. One example of these “radiation tolerant by reputation” devices is the sub-QML FPGA offering from Microchip, through its Microsemi subsidiary. The company has been involved with spaceflight and other mission critical applications for over 60 years. Its sub-QML family of radiation-tolerant FPGAs allows system developers the flexibility to choose the level of screening they require for their specific needs. To achieve QML status, whether class Q or V, each component is tested to all variations and levels of electrical and functional specifications. This government standard requires space agencies and their contractors to use only QML components. For anyone else, it’s optional. In the case of sub-QML devices, selected screening is omitted based on specific mission requirements. In some cases, this eliminates the paperwork associated with QML shipments. In other cases, tests are eliminated from the screening flow for flight units. These devices’ radiation performance is mostly understood, documented, and published. Customers receive a slightly lower level of reliability assurance, in exchange for a lower price. New Space companies interested in sending humans beyond the Karman line should consider this new approach to radiation tolerance. It reduces costs without compromising safety. In turn, it will increase their credibility in the field of spaceflight. Moving forward, commercial space travel is only going to gain more attention and interest from consumers. Now is a critical time for this newly-emerging field. While the technology and logistics are still in the works, a set of safety standards, guidelines, and best practices should be established. Adopting an accessible approach to commercial space travel that component manufacturers and New Space companies can agree on will help turn this science fiction journey into a reality. 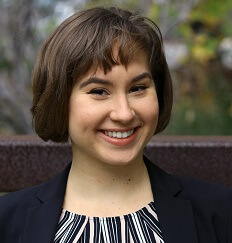 Maria Zaitchenko is a fourth-year student at the University of Toronto, pursuing a Bachelor's degree in Electrical and Computer Engineering. She is currently a product marketing intern at Microchip Technology, Inc., with a focus in aerospace.